For only the second time since they were initially promulgated, the Complementary Norms for the apostolic constitution Anglicanorum Coetibus have been updated, and the two provisions of Popes John Paul II and Benedict XVI for Catholics of the Anglican tradition have thus been confirmed and strengthened by the Holy See. Some of the changes made to the norms are somewhat cosmetic but others reflect, for the most part, current practice, thus entrenching what is already normally done in the ordinariates. The most important of these changes explicitly link the Ordinariate to the Pastoral Provision and affirm the Catholic identity of the Anglican liturgical tradition belonging to the ordinariate. This author describes her experience visiting an ordinariate parish, the first time she had attended our liturgy. Her experience echoes that of many others who have had a chance to pray in the Anglican tradition of the Catholic Church, but I think there is a point that needs to be added to one of her conclusions. “I was grateful for the establishment of the Ordinariate, but I confess… that I did think sometimes… Why can’t they just become Roman…? This reaction highlights the internal Latin nature of the Anglican liturgical tradition. Since the Catholic Church didn’t begin the process of re-integrating the Anglican liturgy until the Pastoral Provision in 1980, and then greatly sped up post-2009, the more traditional form of the Anglican liturgy didn’t undergo the same dramatic rupture that affected the Roman Rite after the Council. So the Latin tradition has been preserved in Anglican liturgy in ways that it hasn’t in the 1970 Roman Missal. That said, many people cherish the Anglican Use because it is more traditionally Roman in some respects than even the common form of the Roman rite itself. But this is not the principle raison d’etre of the Anglican Use. Anglicanorum Coetibus gave Catholics in the Anglican ordinariates the ability to pray using our own traditional “liturgical books proper to the Anglican communion” as well as the “Roman rite” in either its Ordinary or Extraordinary Form. The liturgical integration produced by the Anglicanae Traditiones Commission, that was setup to analyse the Anglican liturgical texts and secure the Holy See’s approval, is intended to establish the received Anglican liturgy in the Catholic Church, shorn of any Protestant elements and re-centred on its own integrity as found in its own history. 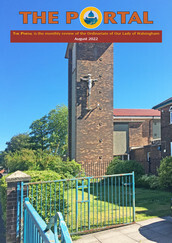 The work of the Anglicanae Traditiones Commission – excellent, but arguably incomplete – has been another step in the healing of two ruptures in the Anglican liturgical tradition, a healing that began with the work of a similar committee of the Roman Curia back in the 1980s. The rupture in Anglican liturgy wasn’t just synchronic vis-à-vis other Catholic liturgies extant today, but also diachronic vis-à-vis its own past and traditional origins prior to Cranmer’s works. So what the liturgy of the ordinariates actually preserves is the inner Catholic integrity of the Anglican tradition, which itself reflects the intrinsic Latin logic of Anglican liturgy. It was not mandated by Anglicanorum Coetibus so as to be what the Second Vatican Council intended with the liturgical reform, even if that is what, in the end, it has actually come to resemble. The Anglican tradition is putting down new roots in New Haven, Connecticut, bolstering the Catholic Church in the area. 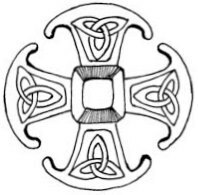 While evensong has been held monthly by the group known as the Ordinariate Fellowship of CT, their first mass has been announced, both on this blog and elsewhere online, for September 29th. The first mass will be followed by a second on Saturday, October 27th, and then by masses on November 3rd, and December 11th. Each of these Saturday evening masses will be in the Anglican Use and will take place at 6:30pm at St Joseph’s Catholic Church, New Haven. The choral masses will be sung by a professional quartet and will feature traditional Anglican hymns, Anglican chant psalms, English plainsong, and English polyphony. The Catholic Church is blessed by the efforts of such small but growing groups, and it’s great to see their efforts bearing fruit. This new Ordinariate Fellowship of Connecticut is rightly attracting more and more interest as they begin their regular choral masses. Further information can be found on their Facebook group.